Since its launch, Android Marshmallow has become a great choice of a large number of people. Due to its easy user interface and amazing feature, it is really an unmatched choice for Android users worldwide. If you wish to make the most of the latest Android Operation System, you can get to know a lot right in this article. 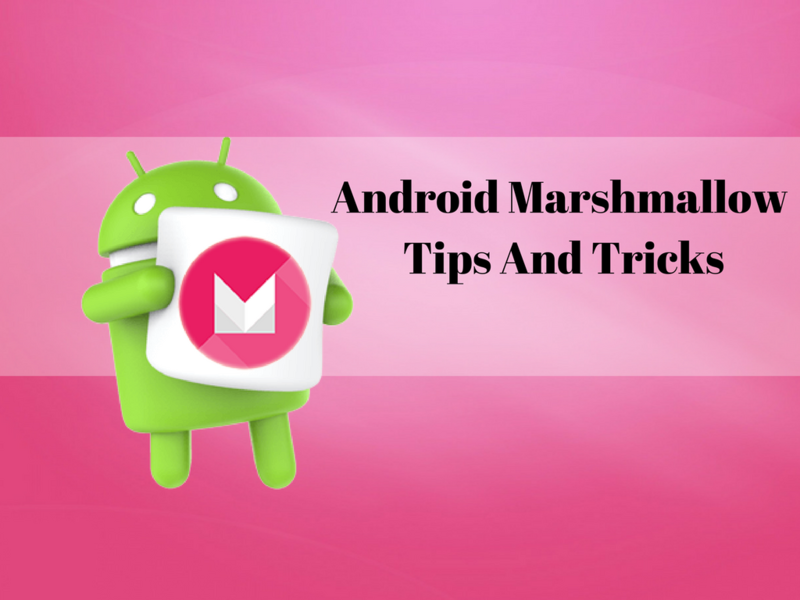 Browse through various tips and tricks that would help you do more with your Android device. In Android Marshmallow, you can simply uninstall an app on your home screen or in your app drawer just by long-pressing it. At the top of the screen you’ll now get options for Remove or Uninstall on the home screen, or App Info and Uninstall in the app drawer. Just drag the app icon to the option you wish to pick. Android Marshmallow allows users to deal with app permissions separately without needing any involvement of developers. To reach out to app permissions, go to Settings > Apps and tap an individual app to check its permissions. Then just flip the switch for the permissions you do or don’t want to grant it. You can also check the list of permissions to see which have been approved to which apps. Navigate to Settings > Apps, then tap the overflow menu in the top right corner and go to Advanced > App Permissions. Heads-up notifications or ‘peeking’ is a feature that enables notifications to pop up over the top of your screen. It was presented in Android Lollipop, but since app developers now try to activate peeking by default, Android Marshmallow gives users the ability to decide if theywish to allow it or not. To enable or disable them, go to Settings > Sound & Notifications > App Notifications, then choose the app they’re emerging from, and turn off Allow peeking. If you wish to get custom notification sounds on your Android device, Android Marshmallow allows you to do this. Set different tones for each app’s notifications, or individual ringtones for when certain friends call you. Doze is truly amazing: it gets activated when your phone is left idle for a period of time, while unplugged and with the screen off. It will pausethe CPU and network activity working in the backend for some Android apps, thus saving battery power. Doze mode can interject the background process of your apps to enable battery saving. Therefore if you don’t want this to take place for certain apps, you can choose to disable Doze mode to keep these apps running. Follow the steps below to switch off the battery saving functionality of Doze. Navigate to your device’s Settings. Choose Battery from the device list and pick Battery optimization from the menu icon at the top-right of the screen. Select All apps from the drop-down menu in the centre of the display. Now you’ll see all the apps that are Doze-enabled. Now select any apps for which you’d like to disable Doze mode. Opt for Don’t optimize followed by Done. Now you’re done with this.